The Ingstad family-owned radio stations of KCHK AM/FM are located just south of the Twin Cities in New Prague, Minnesota. KCHK’s simulcast signal gives the ability to reach listeners in areas up in the Cities and down through Southern Minnesota. We extend our family of listeners with our online streaming capabilities and mobile apps, which allow them to take us wherever they go. In addition, our extensive network affiliations reach far and wide to bring our listeners what they want and need to hear. KCHK AM 1350 went on the air in 1968. 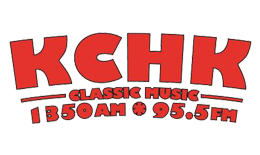 KCHK FM 95.5 went on the air in 1991. “Classic Music” KCHK plays a mixture of music that’s getting harder to find on the radio. Our music format of Polka, Vintage Country, and 50’s-60’s Good Time Oldies Rock and Roll appeals to our adult listeners and keeps them tethered to our radio dial everyday, all day. Other popular locally produced specialty programs include our daily buy, sell, and trade program, Trading Post. Tom’s Tidbits, reports on a number of interesting topics from a former area teacher on Thursdays. Also, Live Musicians Friday which has featured live musicians performing in our studio each and every Friday for more than 4 years. Broadcasting 24 hours a day, KCHK AM/FM also offers local news, weather, and sports. Our network affiliations include Townhall.com, the Minnesota News Network, Brownfield Ag News, Minnesota Twins on 1350 AM, and the Gopher’s Radio Network. KCHK has the ability to attract our family listeners to our advertisers. “….I’ve never had any better advertising than what I get with KCHK. They have fantastic, creative ads that bring people from near and far!” Mickey Smith, Wise Furniture, Le Sueur, MN. “…you guys do such a great job! We have so many clients tell us about KCHK. Thanks for the exposure and ads.” Dr. Steve Krueser, Krueser Vet Clinic, Jordan, MN. “…a big thanks for convincing me to record my own ads! It has really paid off and people really recognize me because of it.” Melissa Krueser, American Family Insurance, New Prague, MN.